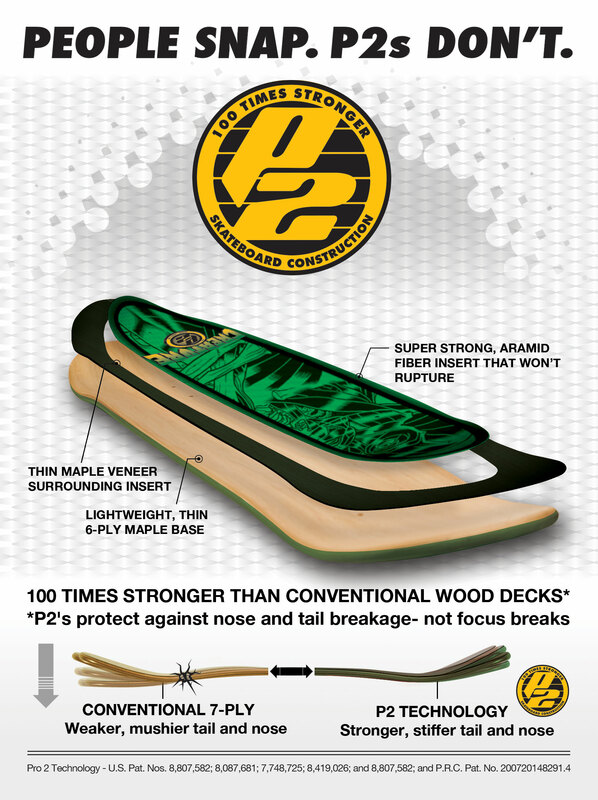 P2 decks are guaranteed against nose and tail failure for 45 days from date of purchase. If your P2's nose or tail breaks, send the board to the address below along with the dated receipt of purchase for a free replacement. Do not take or send your board to the retailer where it was purchased. The P2 45-day Guarantee also covers middle-up breakage from board slides or disaster tricks. This guarantee does NOT cover middle-down breakage. P2's fiber-reinforced top layer strengthens the nose and tail but does not protect against middle-down, also known as "focus" breaks.